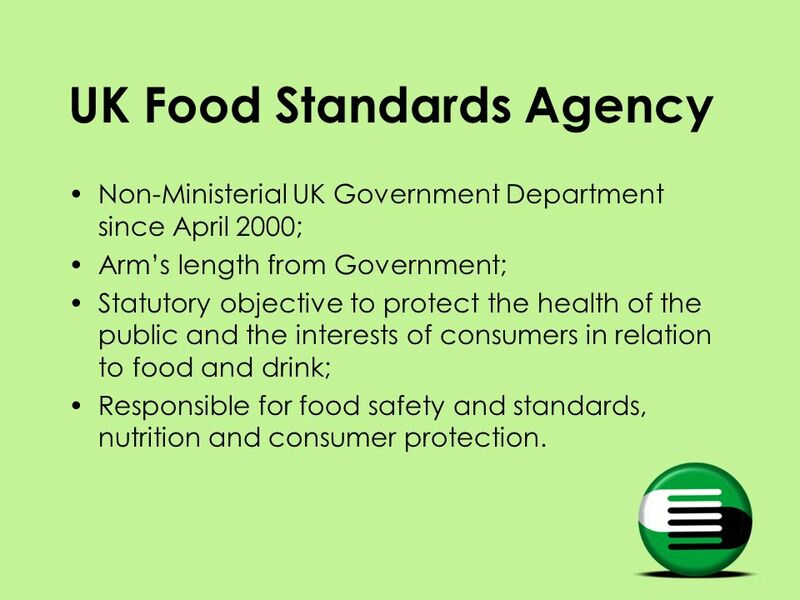 4 UK Food Standards Agency Non-Ministerial UK Government Department since April 2000; Arms length from Government; Statutory objective to protect the health of the public and the interests of consumers in relation to food and drink; Responsible for food safety and standards, nutrition and consumer protection. 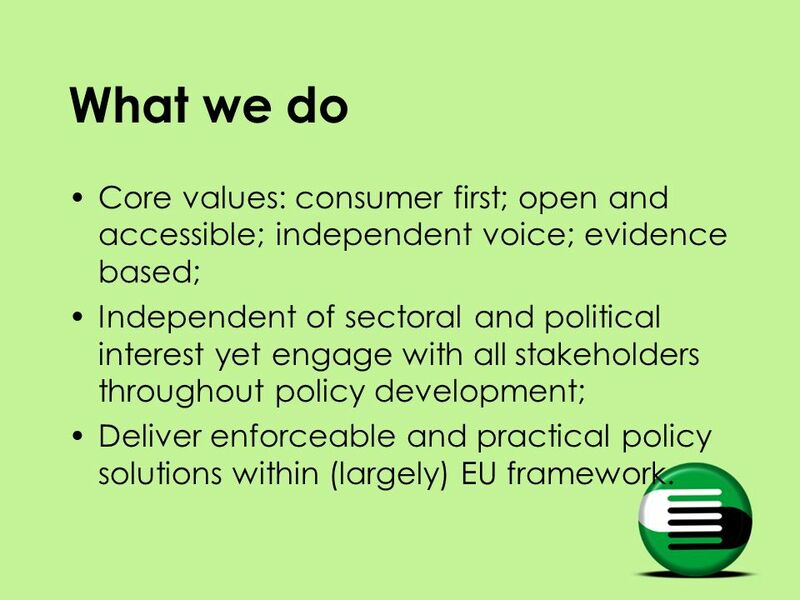 5 What we do Core values: consumer first; open and accessible; independent voice; evidence based; Independent of sectoral and political interest yet engage with all stakeholders throughout policy development; Deliver enforceable and practical policy solutions within (largely) EU framework. 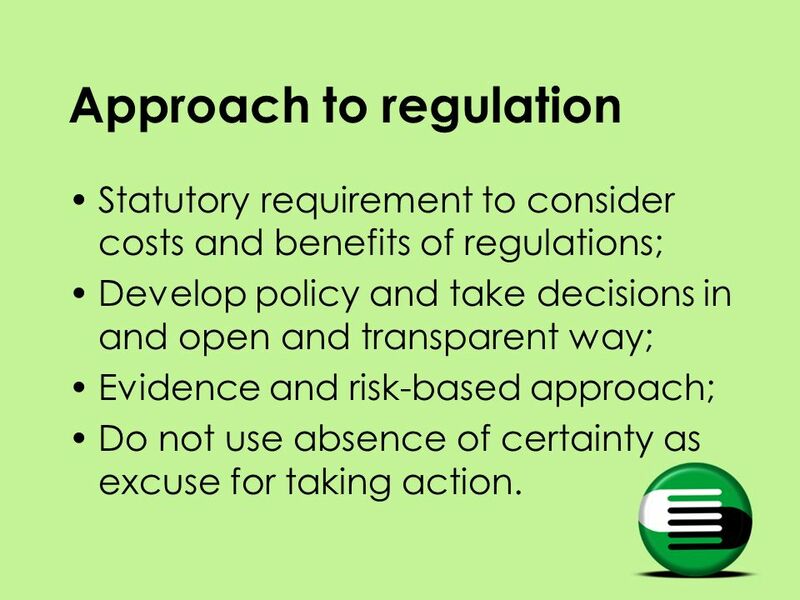 6 Approach to regulation Statutory requirement to consider costs and benefits of regulations; Develop policy and take decisions in and open and transparent way; Evidence and risk-based approach; Do not use absence of certainty as excuse for taking action. 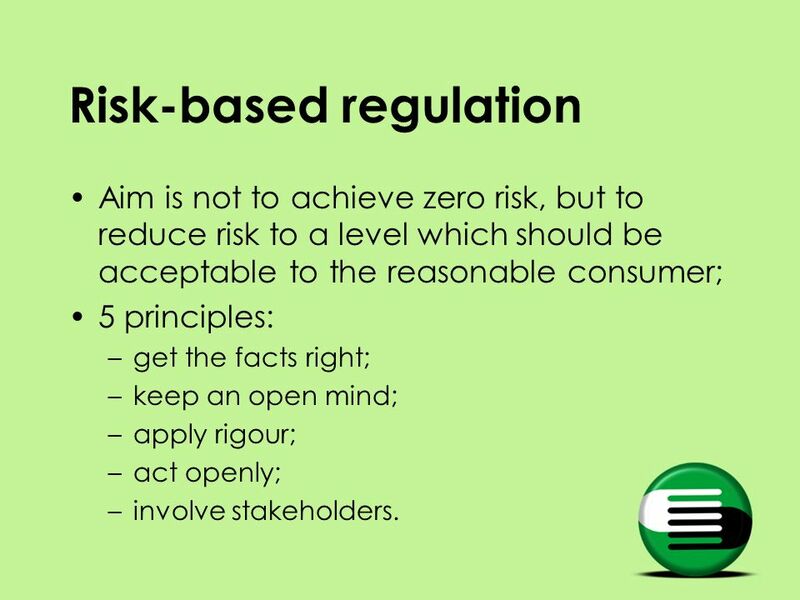 7 Risk-based regulation Aim is not to achieve zero risk, but to reduce risk to a level which should be acceptable to the reasonable consumer; 5 principles: –get the facts right; –keep an open mind; –apply rigour; –act openly; –involve stakeholders. 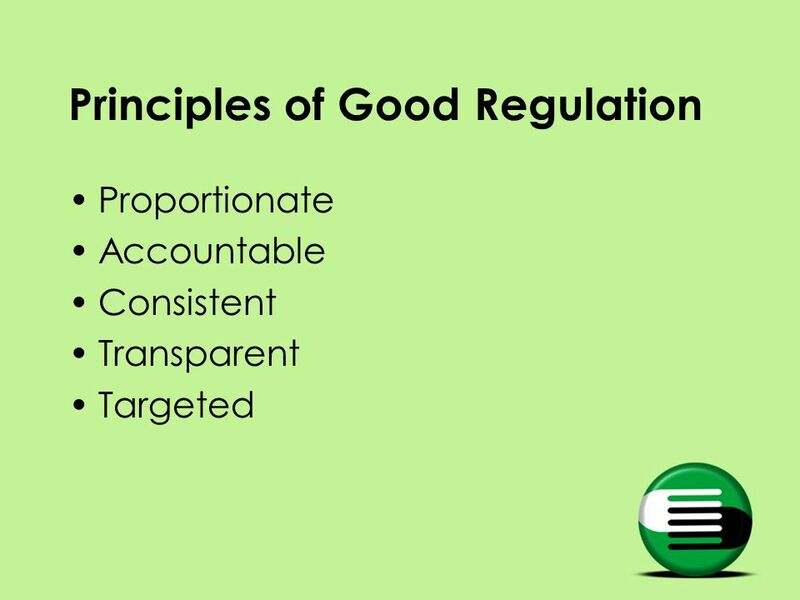 10 What is better regulation? 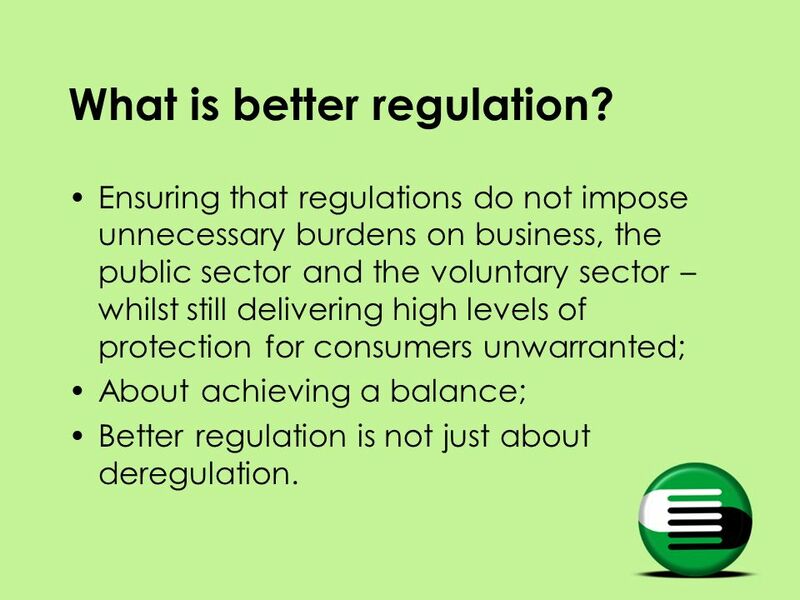 Ensuring that regulations do not impose unnecessary burdens on business, the public sector and the voluntary sector – whilst still delivering high levels of protection for consumers unwarranted; About achieving a balance; Better regulation is not just about deregulation. 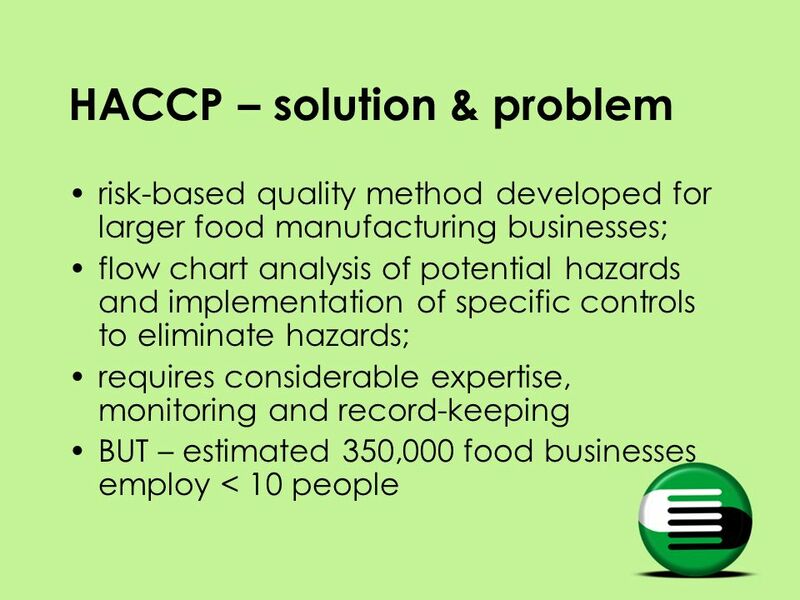 12 And the cost….. 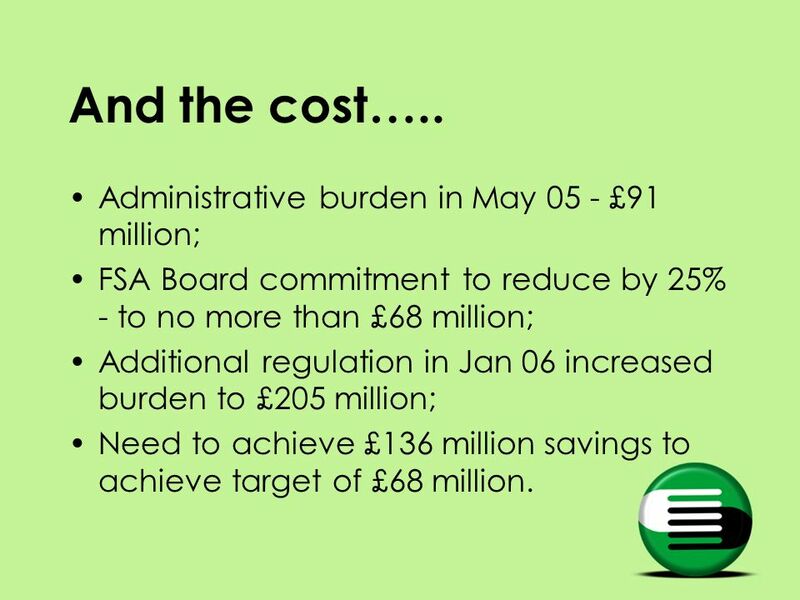 Administrative burden in May 05 - £91 million; FSA Board commitment to reduce by 25% - to no more than £68 million; Additional regulation in Jan 06 increased burden to £205 million; Need to achieve £136 million savings to achieve target of £68 million. 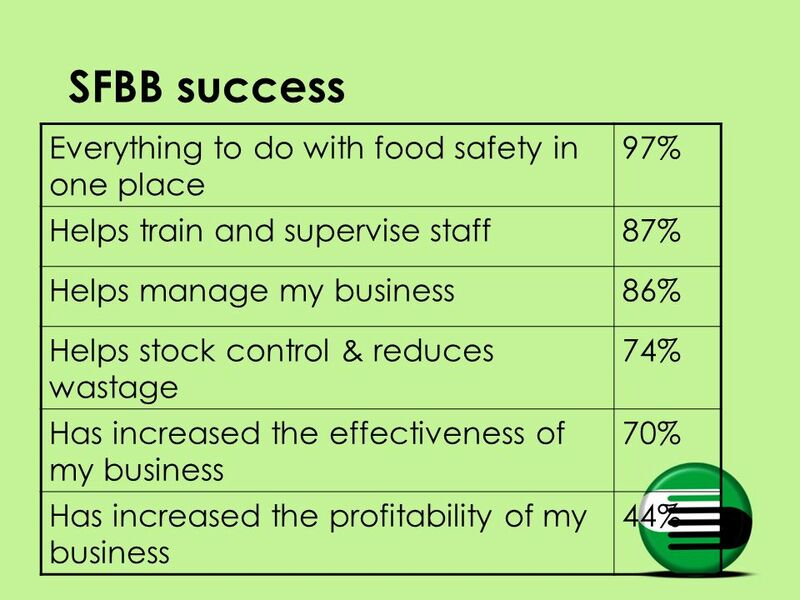 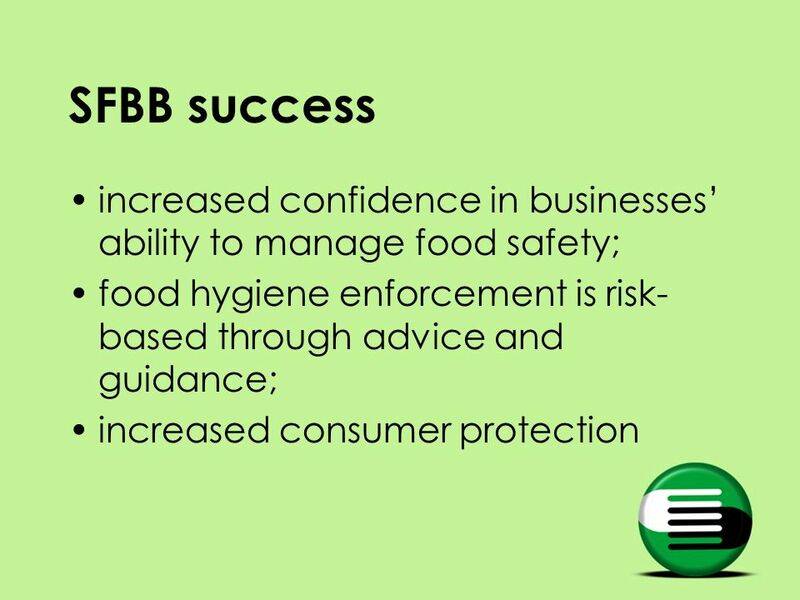 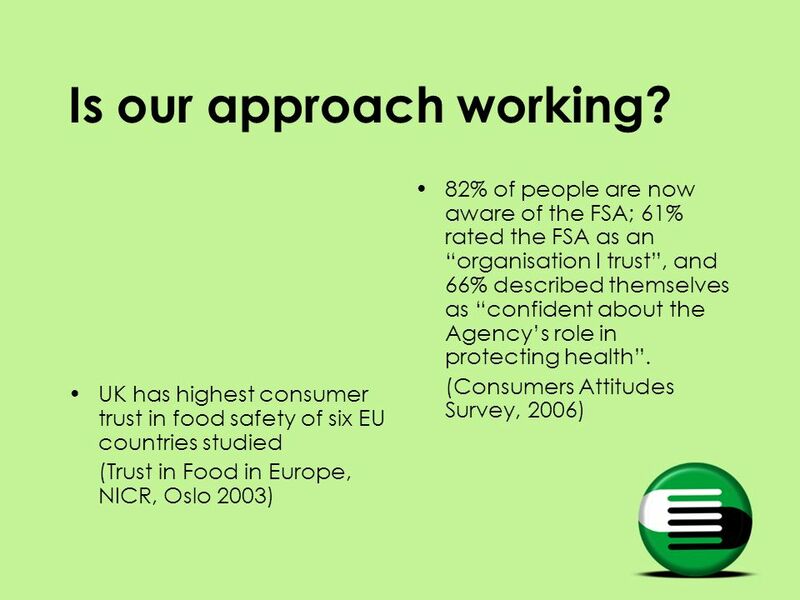 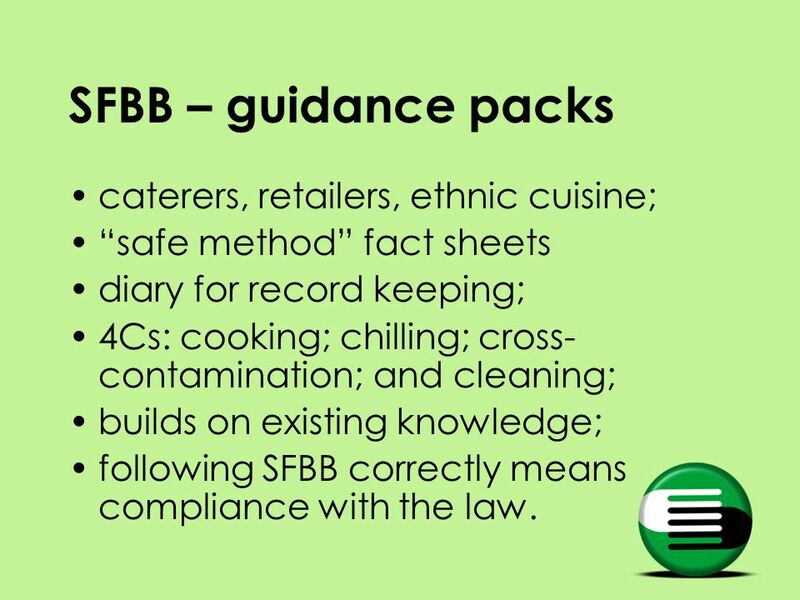 19 SFBB – guidance packs caterers, retailers, ethnic cuisine; safe method fact sheets diary for record keeping; 4Cs: cooking; chilling; cross- contamination; and cleaning; builds on existing knowledge; following SFBB correctly means compliance with the law. 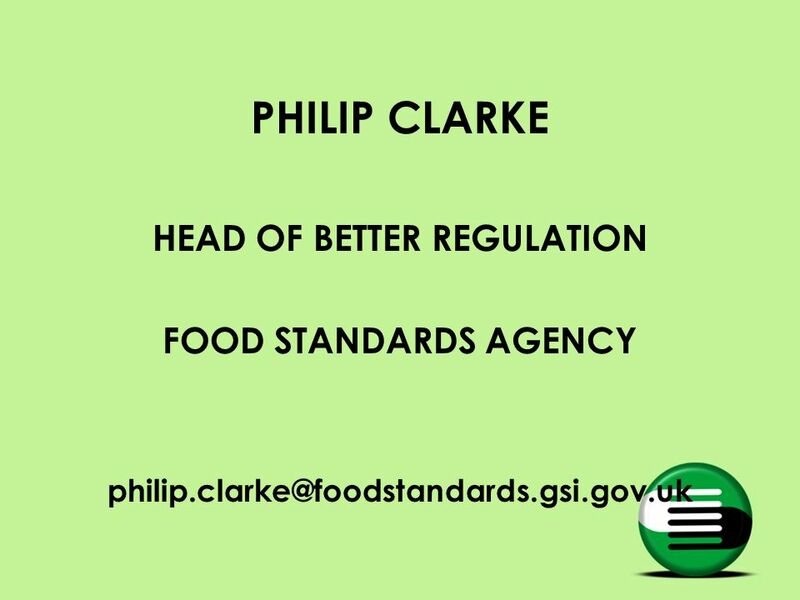 Download ppt "PHILIP CLARKE HEAD OF BETTER REGULATION FOOD STANDARDS AGENCY"
Introduction of the new Canada Consumer Product Safety Act Technical Briefing January 29, 2009. 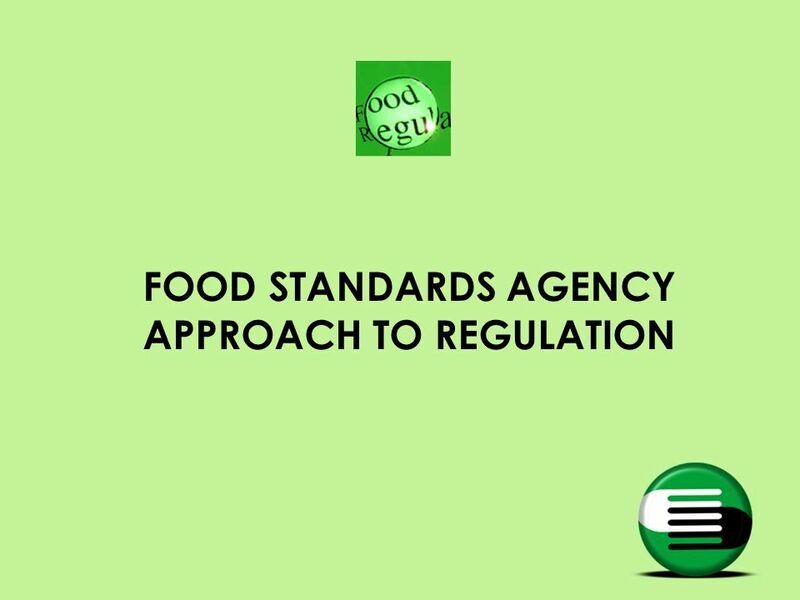 Regulatory Governance: the rule of law and gains from reform Sue Holmes Regulatory Management and Reform OECD April 2002. 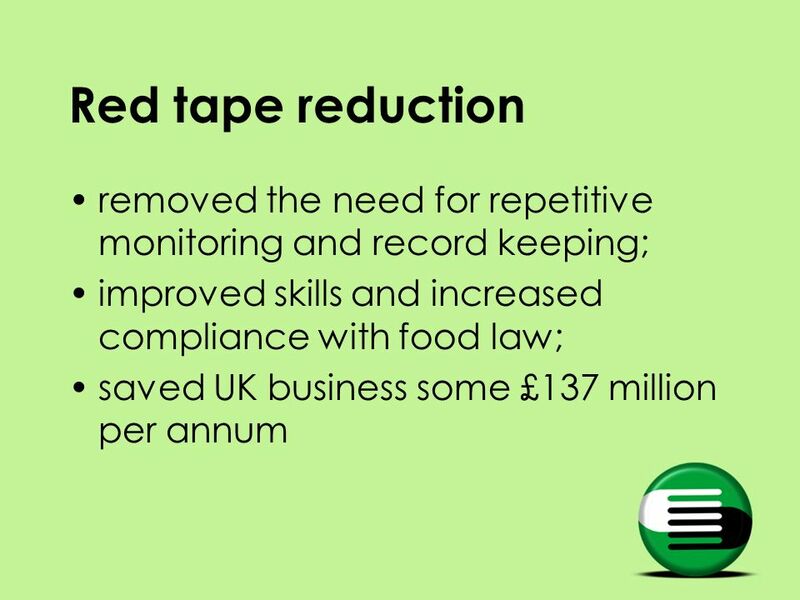 Health and Safety Commission The challenges for health and safety Swansea Safety Group Annual Seminar, 20 June 2007 Sandy Blair CBE Member of the Health. 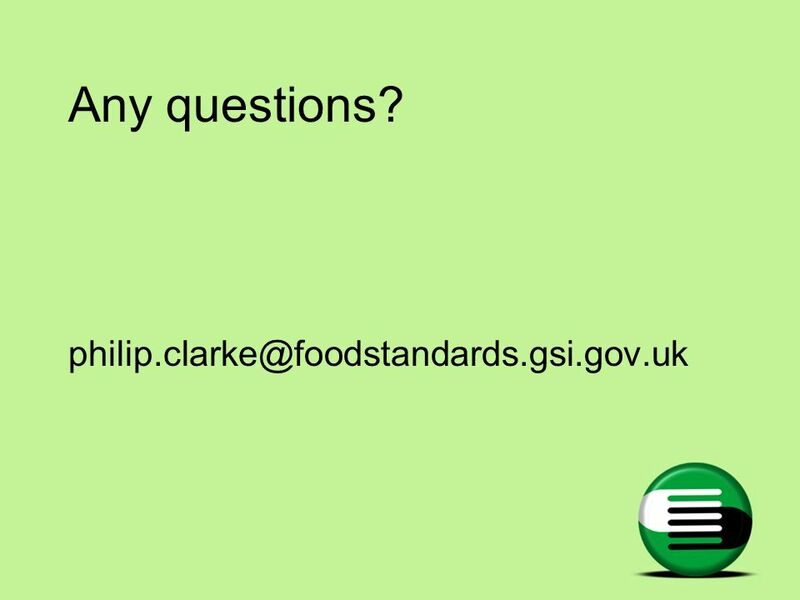 The HSE/LA regulatory partnership Julie Sharman HSEs Local Authority unit Redgrave Court, Bootle. 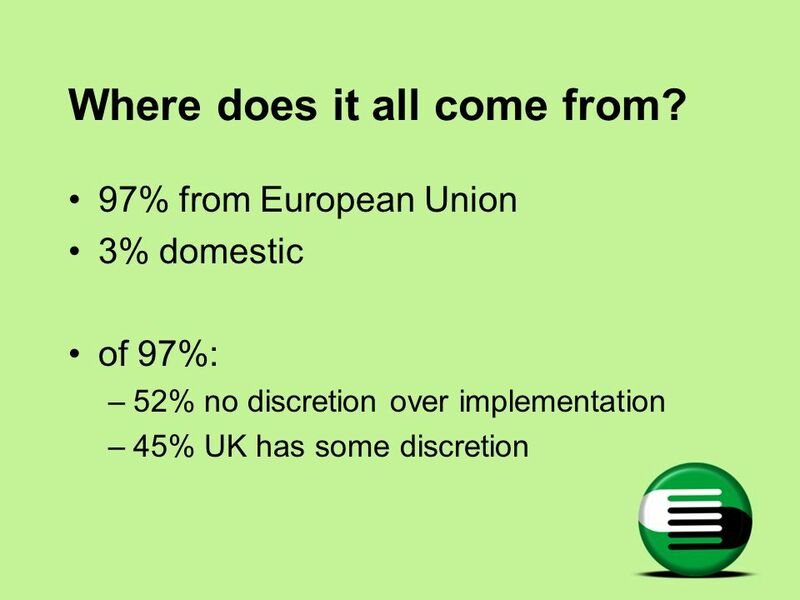 The European Lighting Industry Position on How to Maximise the Potential Benefits of European Policy on Energy Efficiency in Lighting January 2008. 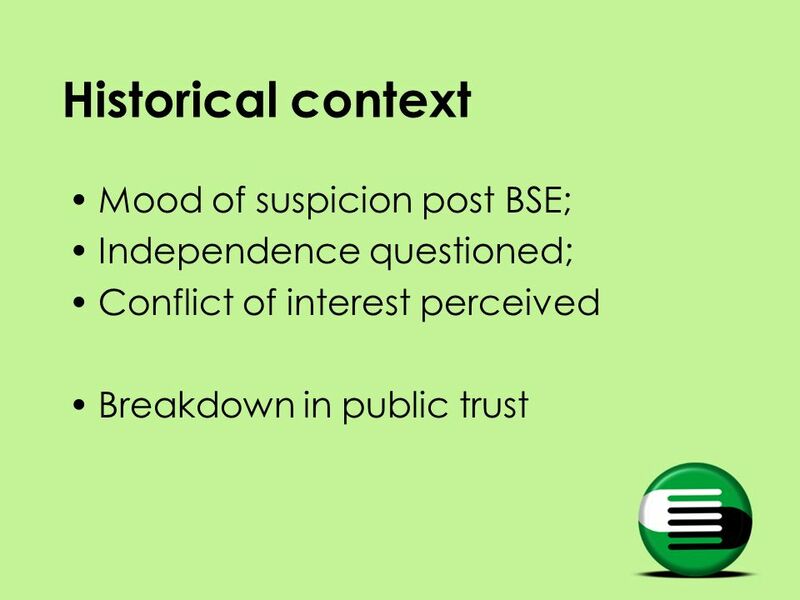 The Mental Capacity Act and Deprivation of Liberty Safeguards Implications for Commissioners and Care Providers Bruce Bradshaw Patient Experience Manager. 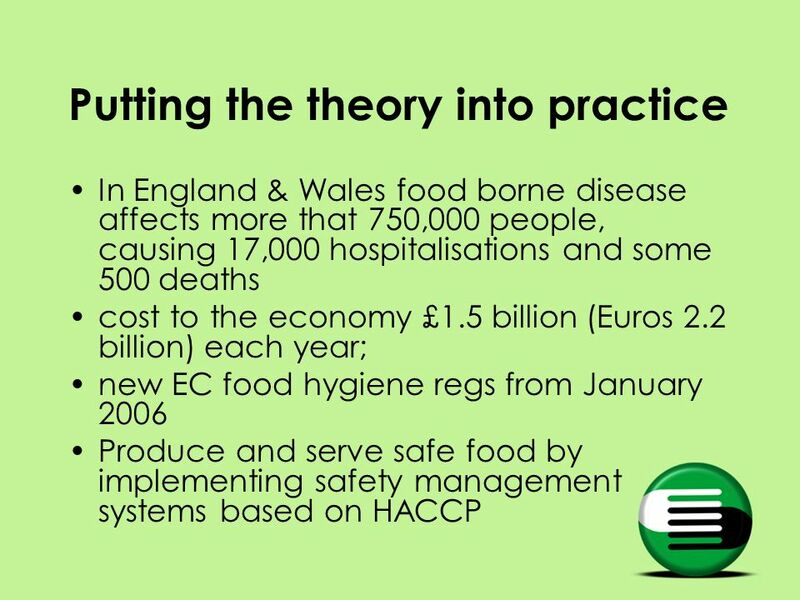 Prevention of cardiovascular disease at population level Implementing policy goals June 2010 NICE public health guidance 25. 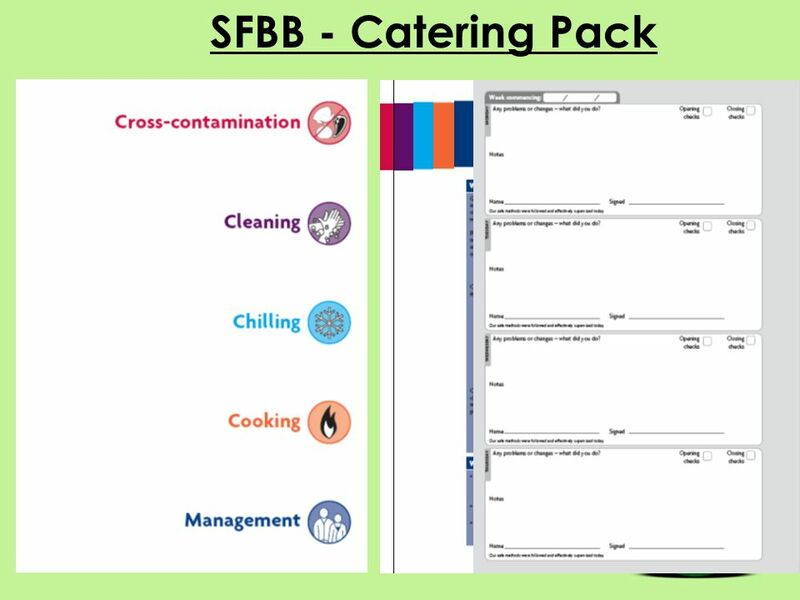 Managing Drugs and Alcohol in the Workplace Andrew Ermer Manager – National Construction Services. 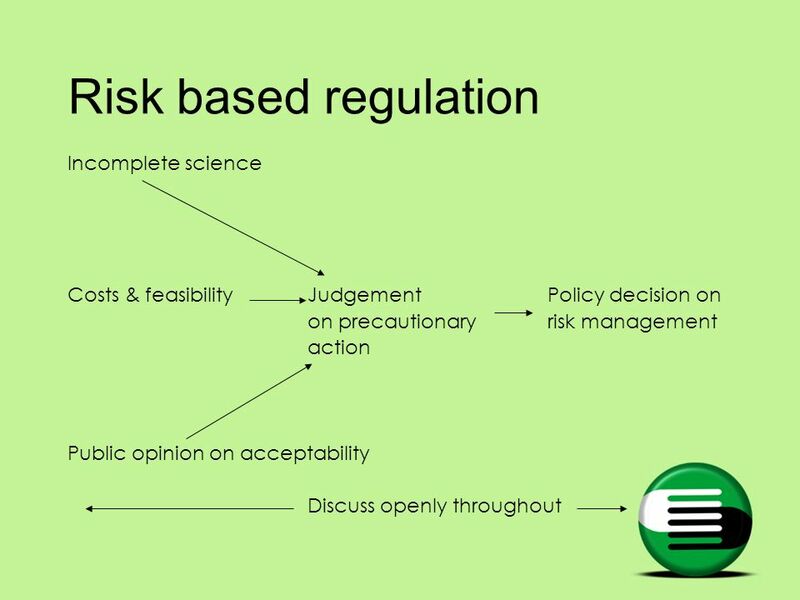 OHS Regulatory Reform - Role of the National Mine Safety Framework Rob Rawson Director Safety and Health Minerals Council of Australia. 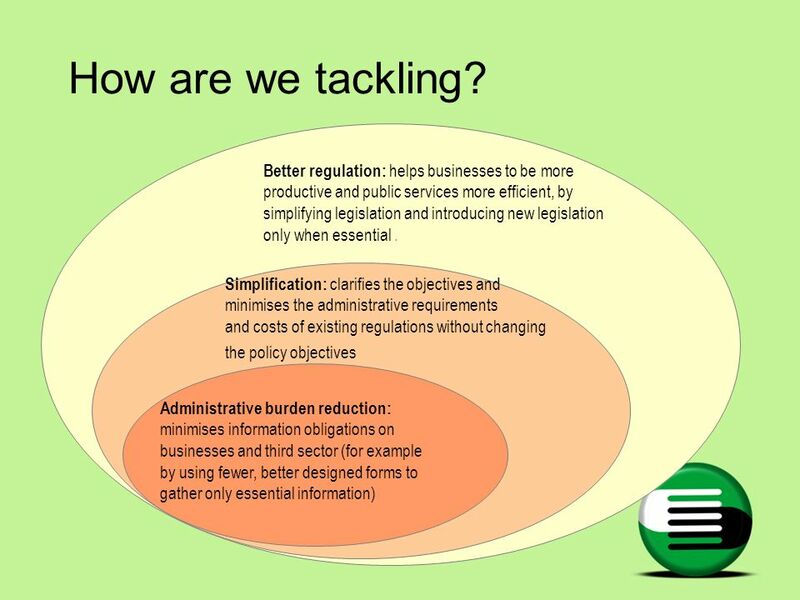 Better Regulation, DH Simplification Plan and BROMI Chris Horsey Head, Better Regulation Department of Health 8 May 2008. 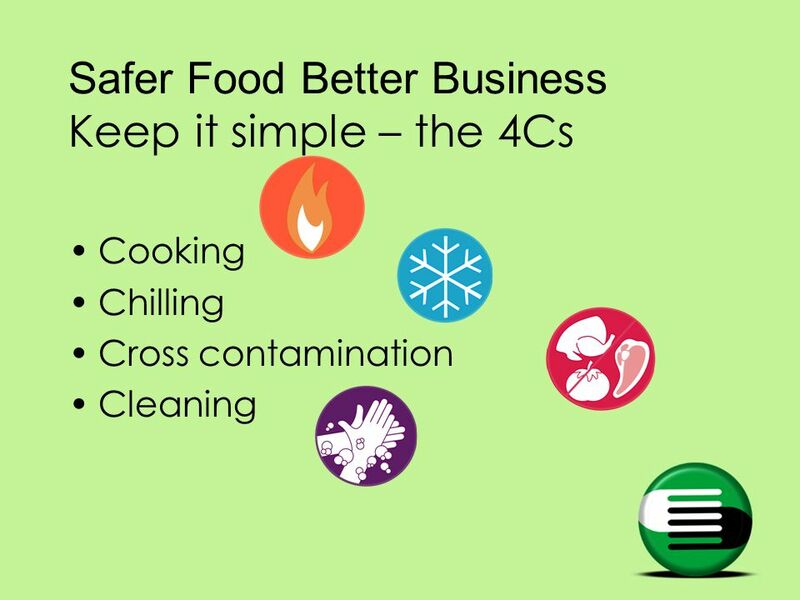 REMOVING BURDENS – a European rail system fit for the future Thierry Breyne – European Rail Agency - Head of the Safety Unit International Railway Safety.